But I learned a few things.. mince the filling finer, so the lumpy look goes away and it doesn’t poke through the dough… And don’t think about handling that kind of dough when its over 100 degrees at 3:00 AM cause it won’t be pretty even if it is amazing in every other way.. Seriously, I can put holes in that type of dough by looking at it, and need every advantage possible. 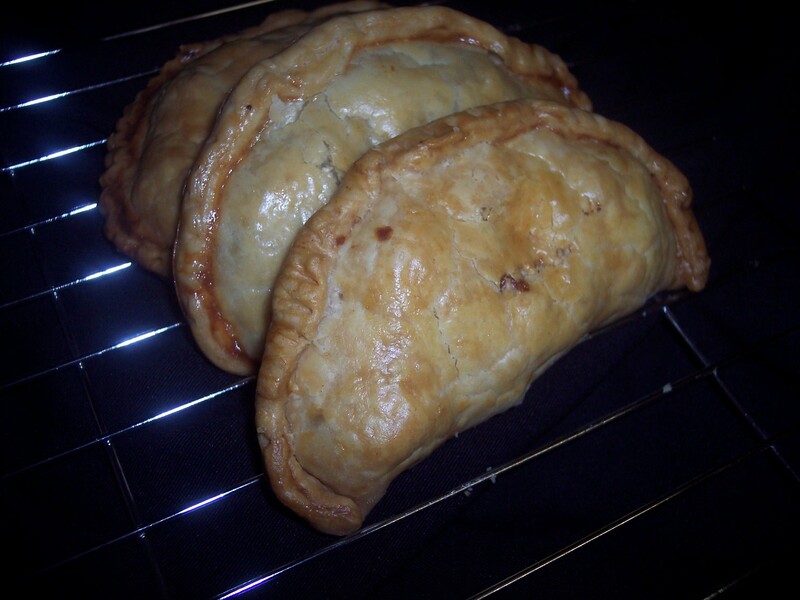 But other than that I was happy, happy with the results.. the crust was flaky and it all worked just right together..
Once the weather cools to a point butter doesn’t melt in five minutes… I want to do some more of the little crusty things with an eye to making them beautiful and refining the process..
Those look like pasties, a British favourite! Your pies look great too! 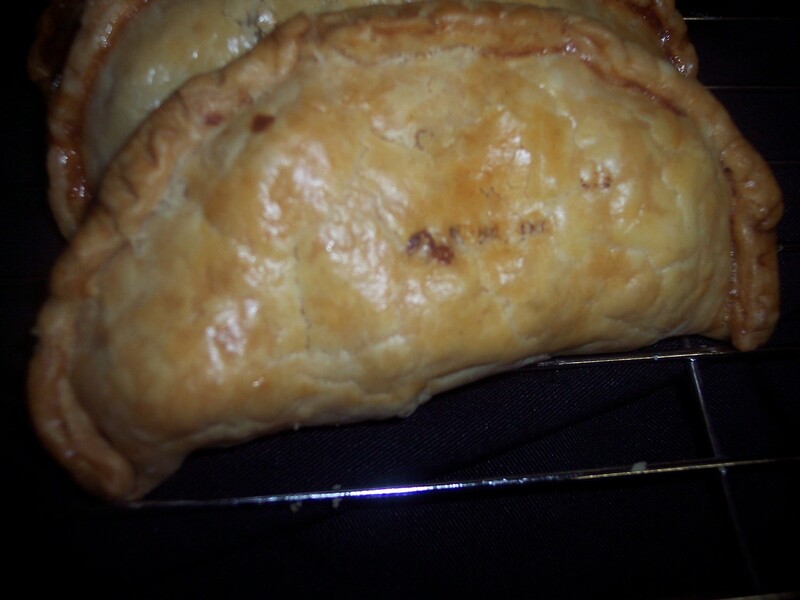 I was thinking pasties as I diced/minced the filling..:) they’re a favorite of mine as well..